Is buying Betas or Release Candidates Better? I think both beta and RC are worth buying to put in your collection. What are you planning to do with those disks? What builds can I see on those disks: 5384 and 5600 by the looks of it. Last edited by Windows Thunderstruck on Fri Apr 12, 2019 4:29 pm, edited 1 time in total. Im planning to add the disks to my collection, and try and make them run and possibly install them on an old desktop computer I have which is currently running vista sp2. Would it be better to buy the beta or the release candidate cd's? Not really. If you want to have a physical copy of it for posterity or if you're a software collector (which judging by your other posts, it looks like you are one), then do so. But, otherwise, it'll just be easier and faster to download them from here or WinWorld or whatever if you're just here to experiment with them. If you're trying to decide between the builds, neither is really "better". If you find a build that you want to buy on eBay, then if you want to, then buy it. If you want something different, try the betas. However, if you're looking for something close to the final and more stable, try the release candidates. I'd personally go for the earlier build in this case, but it's up to you. Were Windows beta/RCs ever sold or put on discs? I thought they were only downloadable? The older ones (i.e. up to Windows Vista) were distributed physically on discs, as fast internet connections weren't common back then. There was a point in time when there was no internet. Then there was a point in time when there was internet, but the speed was extremely slow and thus useless for large file transfers. In both cases, physical media was the best way to distribute builds. Managers and other decision makers liked to have a nice shiny physical object. Microsoft was more than happy to oblige. A nice pretty box and disk placed in the right hands could dispel any ideas that the latest software might be vaporware, and it would show them that Microsoft was serious about their software. But at some point, even the pointy haired bosses developed an allergy to physical media. That would definitely explain why leaks of older Microsoft projects like Chicago, or Neptune would be a such a big deal as they could have potentially been lost forever. 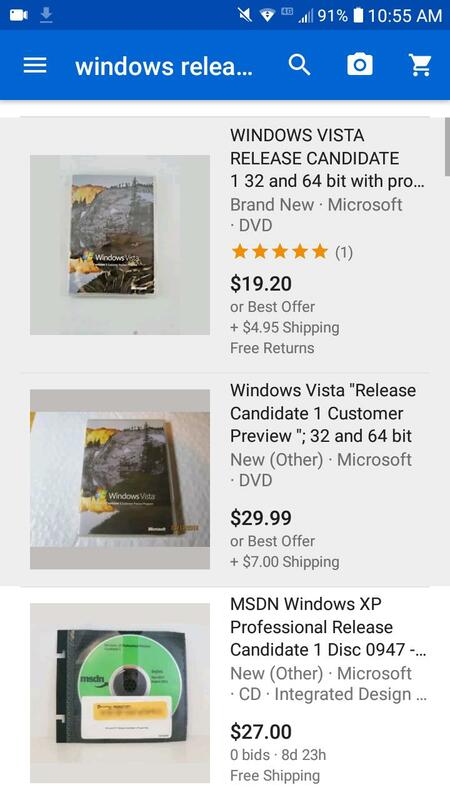 I know Microsoft just dumps these old CDs and from there, could have ended be going to the landfill instead of hands of a person who's willing to share it to sites like this one. I think it depends. If there is a Neptune beta or Windows 1.0 DR1, then I would definitely buy them unless they are > $500. I won't buy any worthless stuff that I will throw away the next day. 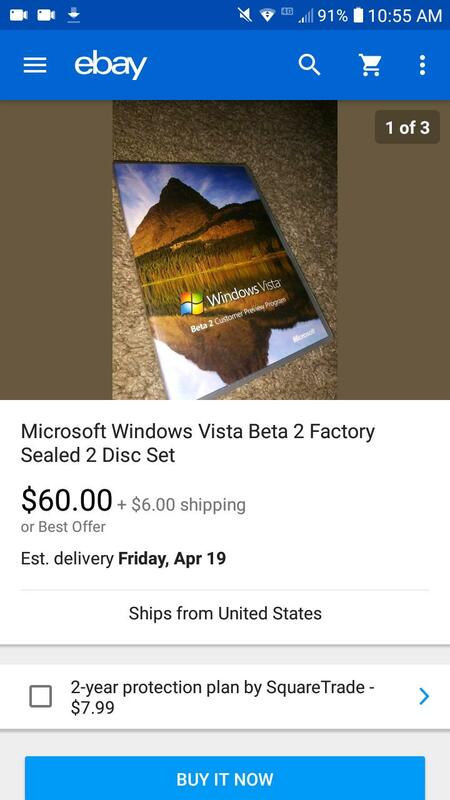 I only buy software or OS I actually use or something worth collecting and I can sell for profit (I don't want to waste my money just to buy a Vista beta when the shipping fee worth more). If you have some money and want to buy a few discs for collection purposes, I would look at the rareness and availability of the product (e.g. I would buy an unleaked RC rather than a leaked beta). If you want to keep it and wait for 20 years to sell them for profit, I suggest getting rare ones. RCs and DRs are generally more common than private betas and test builds.